Fonant hosts the Jewish Book Week site, having taken over from a host that had proved to be quite unreliable. 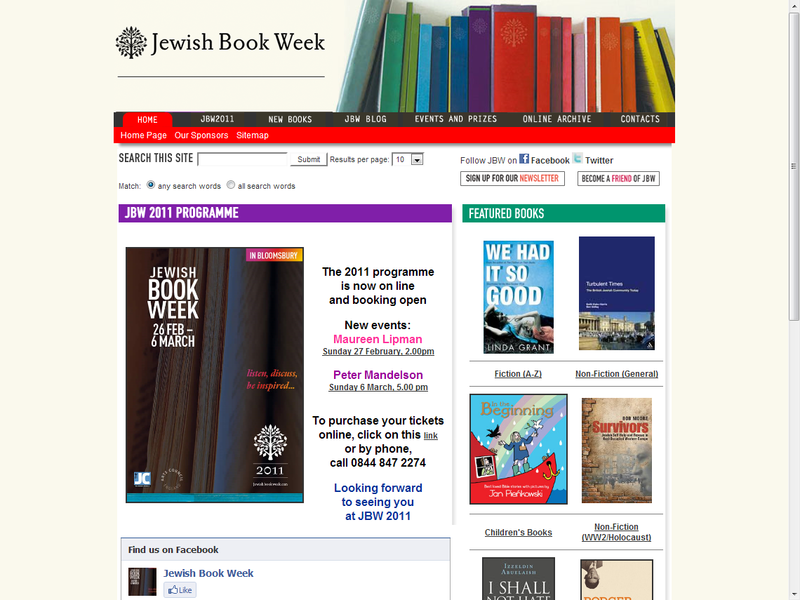 The site is maintained by the Jewish Book Week organisers using Adobe Contribute software. Fonant provides reliable hosting and backup services, and basic support for Contribute users.